The Magic Pudding was a popular book from its first publication. Is it likely still to appeal to its main audience today? Explain your reasons. 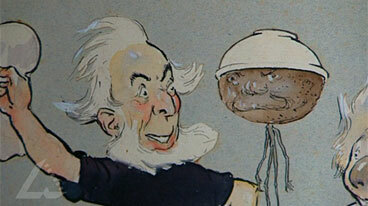 The Magic Pudding was published in 1918; it was created as an animated film in 2000. Watch the film and compare the key features with those of the illustrations. Also discuss the filmic elements in it: the nature of the voices, the animation, the use of music, the adaptation and modernisation of the language and the general style.